Isaac Bonisteel, New Harbour resident and graduating student at Pearson College in Victoria, British Columbia, is the 2016 recipient of the prestigious McEuen Scholarship awarded yearly to one individual. The scholarship is based on merit and is the single largest scholarship awarded in the country. It includes tuition, room and board as well as a stipend for up to four years at St. Andrews University in Fife, Scotland. 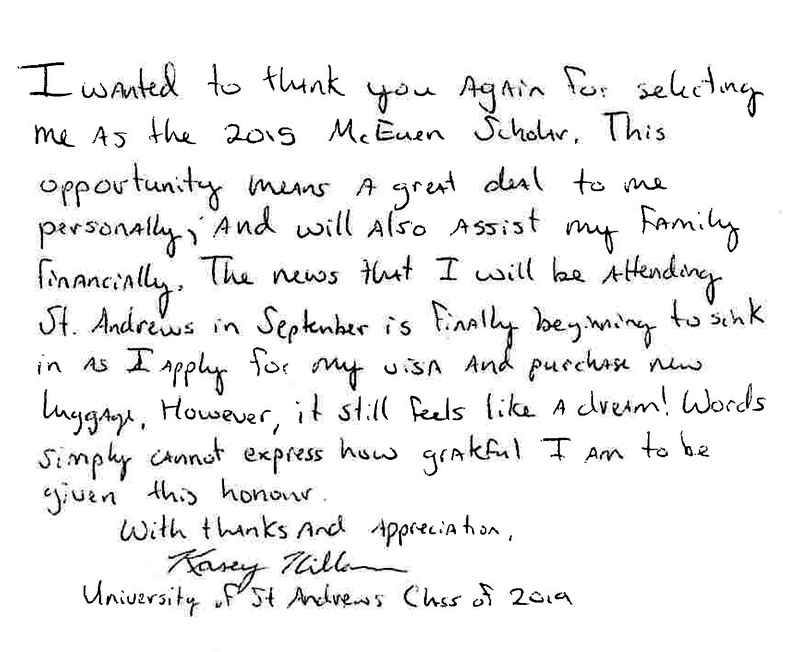 Isaac has been accepted into Medicine at St. Andrews as of September 5 of this year. He intends to return to New Harbour to practice Medicine subsequently. Isaac will bring an impressive set of skills and accomplishments to St. Andrews, including the highest marks possible in the International Baccalaureate Diploma. He impressed the selection committee with impeccable marks, outstanding leadership potential and participation in any number of extra-curricular activities including volunteer initiatives, provincial soccer, acting and playwriting, and the scuba diving program at Pearson.